Please join us Sunday, May 20th as we celebrate the 17th birthday of The House! We will kick off our 18th year of "amazing feats of storytelling" with live music from company member Matthew Muñiz (Hatfield & McCoy) and cabaret magic from company member Dennis Watkins (Death & Harry Houdini). A silent auction, delicious desserts, and cash bar round out this great afternoon at the theatre. Come celebrate with us! 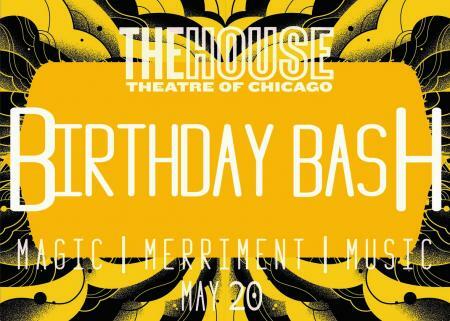 Sunday May 20th - Please join us Sunday, May 20th as we celebrate the 17th birthday of The House! We will kick off our 18th year of "amazing feats of storytelling" with live music from company member Matthew Muñiz (Hatfield & McCoy) and cabaret magic from company member Dennis Watkins (Death & Harry Houdini). A silent auction, delicious desserts, and cash bar round out this great afternoon at the theatre. Come celebrate with us!